With Wednesday's trade deadline looming, several NHL teams will be looking to bolster their roster over the next 24 hours. Some big moves have already been made, including the Kings' bid for Ben Bishop and the Capitals acquiring Kevin Shattenkirk from the Blues. Shattenkirk will be on hand at Verizon Center on Saturday when the Capitals play the Flyers in the fifth most expensive NHL game this week. The Rangers host the Canadiens in an Original Six matchup in the priciest matchup on Saturday. The Predators, Bruins and Blackhawks also make this week's top games list. The Canadiens were struggling in February until they headed to Madison Square Garden and stopped a three-game losing streak with a 3-2 shutout victory against the Rangers. Heading into the week, Montreal has won each of its last two contests in overtime. 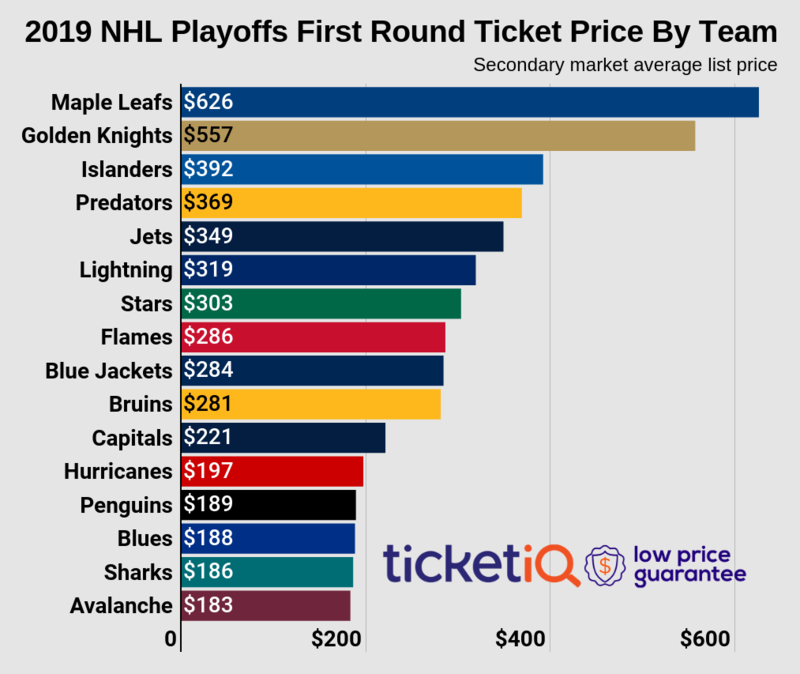 Rangers tickets against the Canadiens currently average $338 and the get-in price is $128, as New York looks to avoid a season sweep at the hands of Montreal. The Blackhawks and Predators are each entering the week with winning streaks, as each team has been putting up a lot of goals recently. Jonathan Toews has scored five goals and registered five assists during Chicago’s four-game winning streak. Predators tickets on TicketIQ currently starts from $127 each and average $302, and those who attend the contest at Bridgestone Arena will receive a gold rally towel. Nashville hopes to win against Chicago for the first time in its last four tries. The Bruins enjoyed a successful February, as they bounced back from consecutive losses to begin the month to move their record to eight games above .500 heading into Tuesday’s contest against Arizona. The Bruins then stay in Boston for a couple more contests, including Saturday’s one against New Jersey. Bruins tickets on TicketIQ currently average $236, and the cheapest available tickets start from $66 each. The Devils, who struggled mightily at home in February, look to succeed in their road-heavy schedule in early March. Before the Blackhawks head to Nashville, they will be playing the front end of a back-to-back against the visiting Islanders, who are visiting for the only time this season. Earlier this season, Chicago went to the Barclays Center and Blackhawks right wing Richard Panik lifted his team to the 5-4 victory. Blackhawks tickets on TicketIQ currently average $224, and the cheapest available tickets start from $82 each. Both teams have enjoyed success recently, but the Islanders will have an uphill battle as they are playing the fifth contest of a nine-game road trip. The Capitals are again making a bid for the President's Trophy, posting a league-best 41-13-7 record ahead of Tuesday's matchup with the Rangers. They'll play host to the struggling Flyers on Saturday, who are fighting to stay alive in the playoff hunt amidst a crowded Eastern Conference picture. Capitals vs. Flyers tickets currently average $192 and the cheapest tickets start from $69 each.